Eurodollar is still forming an ascending wave; the wave is almost complete, but the fifth structure needs one more ascending part. 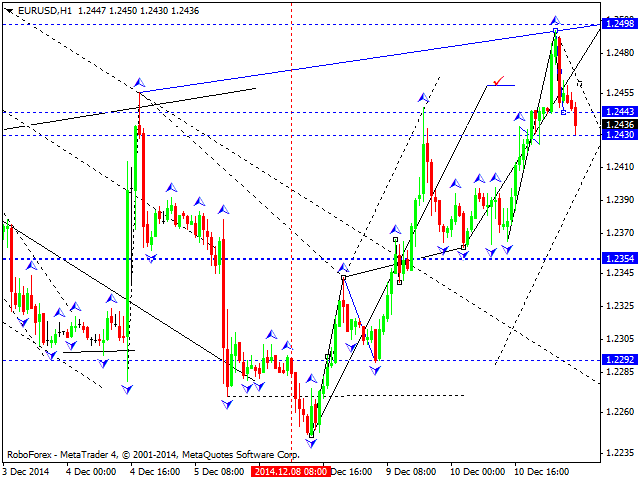 We think, today the price may reach a new high at level of 1.2498. Later, in our opinion, the market may move downwards as a correction to reach level of 1.2355 (at least). 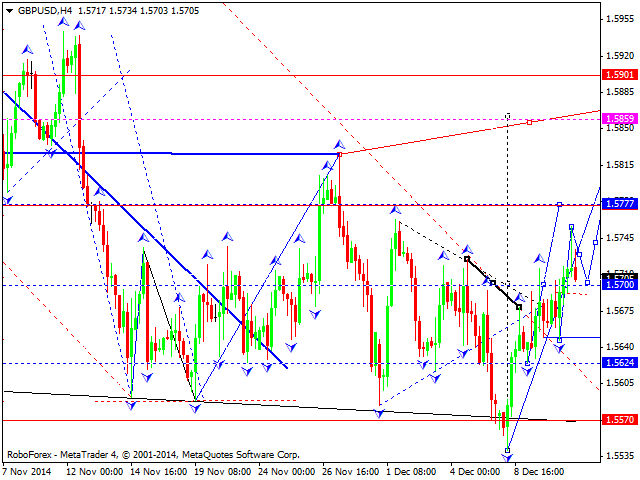 Pound is forming the second ascending wave with the target at level of 1.5777. 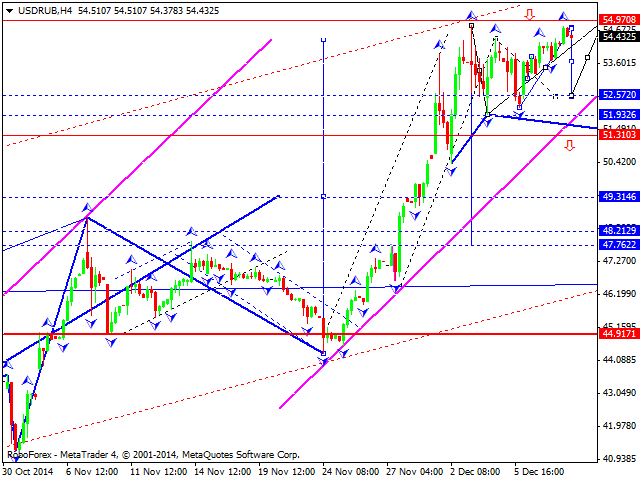 Later, in our opinion, the market may start another descending structure towards level of 1.5700. Franc is still forming a descending wave; the wave is almost complete, but the fifth structure needs one more descending part with the target at level of 0.9610. We think, today the price may complete this structure. Later, in our opinion, the market may return to level of 0.9737 (at least) as a correction. Yen is still forming a descending wave. We think, today the price may extend it towards level of 117.00 and then start a correction to return to level of 119.80 (at least). 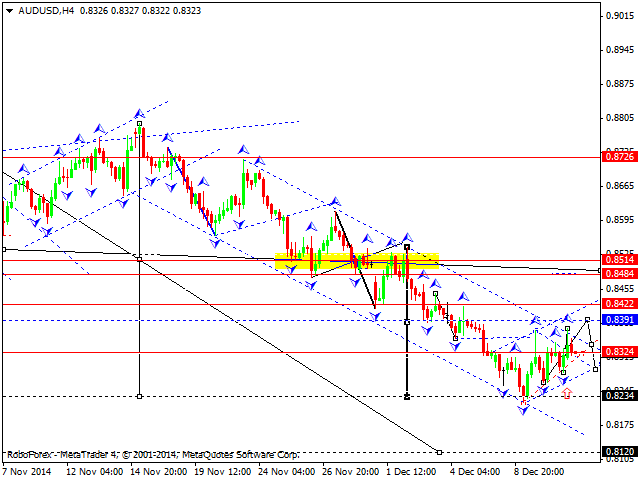 Australian Dollar is moving inside a descending channel; the pair is trying to form the second ascending wave with the target at level of 0.8391. Later, in our opinion, the market may continue falling towards level of 0.8320 and then form another ascending structure to reach level of 0.8420. The whole structure looks like a correction. 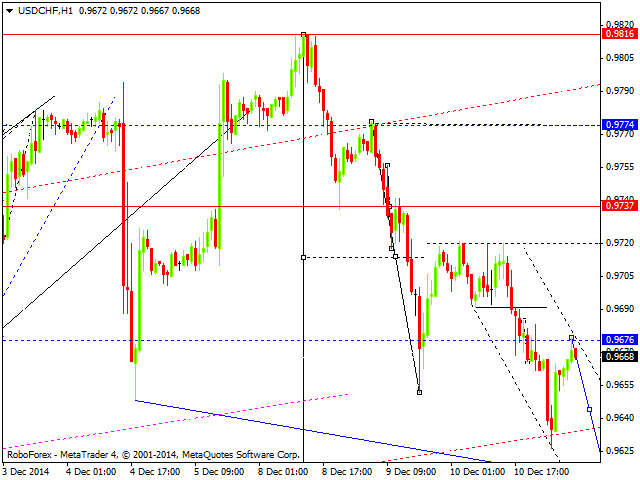 After that, the price may continue falling towards level of 0.8120. Ruble has reached its upside target. We think, today the price may form a descending structure to reach level of 51.57 and then grow again towards level of 54.97, thus completing this ascending movement. Later, in our opinion, the pair may start a deeper correction. 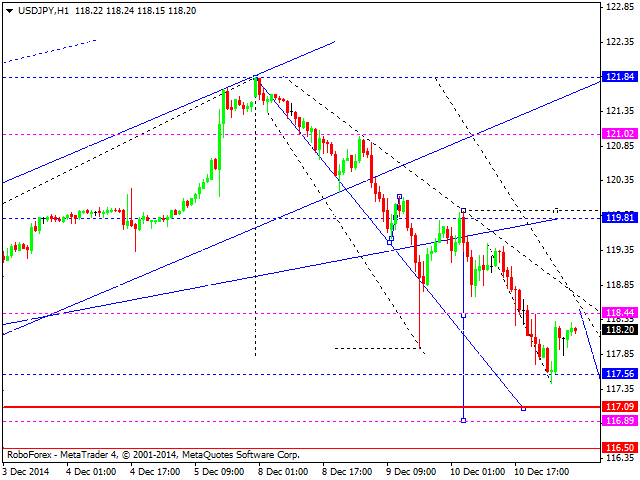 The first target is at level of 51.31. 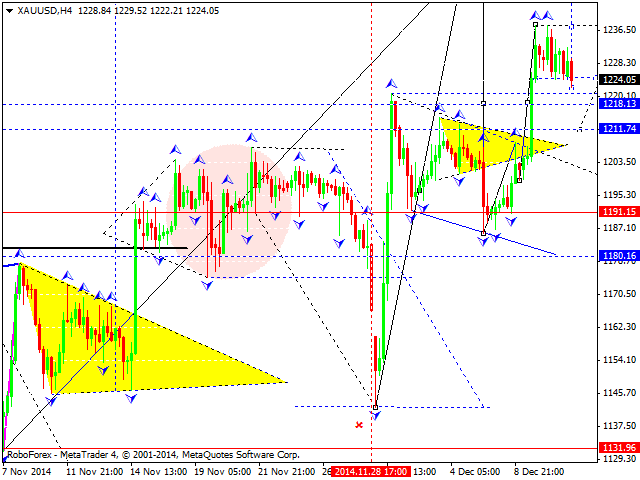 Gold is trying to expand its consolidation channel towards level of 1218. Later, in our opinion, the market may grow to reach level of 1250 and then start a new descending structure towards level of 1190.